In select cases, these largely social media-driven efforts seem to be having at least some impact: Janet Jackson just received her second Rock Hall nomination, and ELO is enjoying their first. So what exactly drives these campaigns? The individuals behind a few of them recently agreed to answer four questions, shining a light on why they do what they do. Janet created a blueprint in the '80s/'90s for the female pop/R&B/dance artist and it’s still being followed to this day. She helped to break down racial barriers on MTV and CHR/pop radio. Her influence on the younger generation today is undeniable and can be heard in the music, seen in the videos and witnessed in stage performance. Janet is one of the most successful recording artists of all-time—Billboard ranks her as the 7th most successful Hot 100 artist in history, ahead of her brother—but many tend to overlook Janet’s creative input. She’s completely immersed in the album making process every step of the way. She wrote, co-wrote and co-produced that monster back catalog of hits. She managed to emerge from her brother’s shadow on her own merit and arguably eclipsed him in the '90s, and that needs to be recognized. Janet’s 2015 Unbreakable album was one of her most critically acclaimed albums and appeared on dozens of “best of 2015” year-end lists. Having a #1 album 35 years into a music career is pretty impressive. Janet is truly deserving of induction and I was thrilled to see her on the ballot again this year! 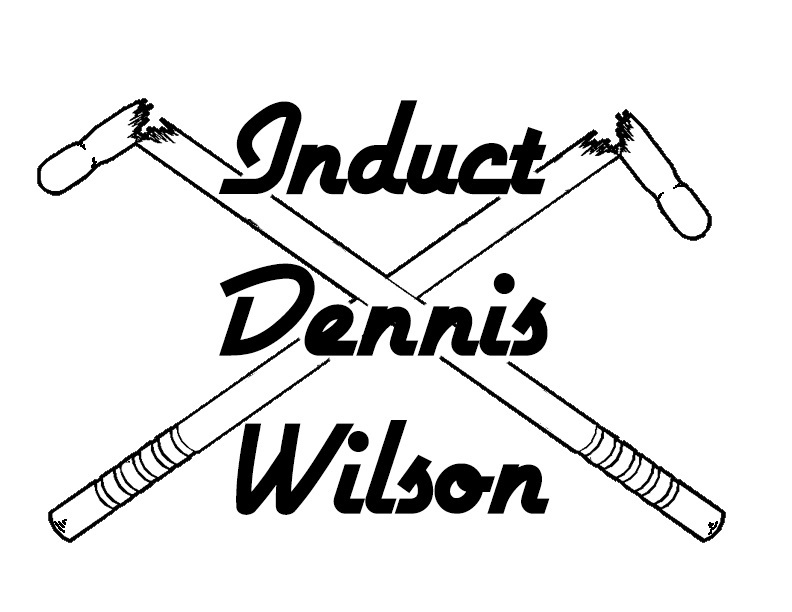 What do you feel are the chances for induction this year? I remain cautiously optimistic. In all honesty, the timing seemed perfect for Janet’s induction last year. It’s really exciting to see Janet back on the ballot. The NomCom agrees with us and clearly they think that Janet is worthy. She belongs in the Hall so hopefully this is the year. It’s a bloated ballot at 19 nominees, so will we see more than 5 nominees? Apparently, Joel Peresman (NomCom President) was quoted that only be 5 inductees will make it this year so I guess we’ll see what happens. Since I mentioned president, did you catch the #Nasty social media explosion during the third Presidential debate? If that’s not lasting cultural impact then I don’t know what is. "Her influence on the younger generation today is undeniable." 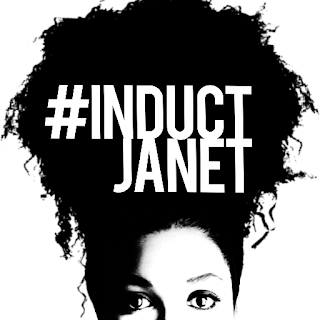 Who would be your choice to do the induction speech if Janet gets in? This wouldn’t be my choice, but I’d venture a guess that they’d try to get Beyoncé to induct Janet. Beyoncé is a huge Janet Jackson fan and pretty much her biggest inspiration and influence. Personally, I’d choose Jimmy Jam & Terry Lewis to #InductJanet. Missy Elliott would also be a fun choice. You've wholeheartedly thrown your support behind Janet. Just for fun, what artist would be your second choice to get into the Hall? I have a bunch actually. Depeche Mode, The Cure, A Tribe Called Quest, Björk, PJ Harvey, Eric B & Rakim, Kate Bush, and The Smiths make up my short list. Why did I get inspired to start pushing for him? Who knows? It was an instinct I had. I’m not even sure I care about the Hall of Fame that much, but it pissed me off that he wasn’t in it. My first memory of music was hearing him on a transistor radio at the beach (“…put the lime in the coconut…”), and then again that same day on the car radio during the drive home from the beach (“…can’t live, if living is without you…”). His voice was on the opening credits to The Courtship of Eddie’s Father (“‘…people let me tell you ‘bout my best friend…”), and there was a cartoon with his songs called The Point, (…me and my arrow…”). His music was just always all around me, but I didn’t know his name. In fact, I didn’t even know that all of these songs were by one guy. I didn’t realize that until I was in my 20s and bought a compilation album. Then…it hit me hard. I’ve been borderline obsessed ever since. But does Harry Nilsson belong in the Rock and Roll Hall of Fame simply because of my personal obsession? As self-involved as I can be, I’d never make that argument. His influence has only grown since. His songs were crucial to classic films such as Midnight Cowboy, Goodfellas and Magnolia and can be heard in several films every year since (most recently Angelina Jolie’s By the Sea, and the Bill Murray and Tina Fey vehicles Rock the Kasbah and Whiskey Tango Foxtrot, etc…). His voice was heard on a commercial during this year’s Superbowl. He’s been sampled by rappers such as Cypress Hill, P.M. Dawn, Jurassic 5 and Blackalicious, and covered by current artists such as Neko Case, LCD Soundsystem, Aimee Mann, The Eels, Shooter Jennings, Ron Sexsmith, Jellyfish, Shonen Knife, The Walkmen, and Macy Gray. More than 35 years after his last release, young bands still cite him as a primary influence and critics still use him as a touchstone. No…Harry belongs in because his work helped to set the standard for the music of his day and much of what came after him. He was influential in his moment, collaborating with Phil Spector, John Lennon, Randy Newman, Keith Moon, Dr. John, Cher, and more. He wrote songs for The Supremes, The Ronettes, The Yardbirds , Neil Diamond, Rick Nelson, Herb Alpert, The Turtles, Dave Brubeck, The Monkees, Ella Fitzgerald, Link Wray, Astrud Gilberto, Three Dog Night, and more. David Bowie sang his praises on Saturday Night Live. John Lennon and Paul McCartney famously both named him their “favorite group” at the height of Beatlemania. So yeah, he has the resume. He deserves to be in—and not as the fringe candidate he’s so often regarded as by folks who really ought to know better. What do you feel are the chances of induction? It is just a matter of time. 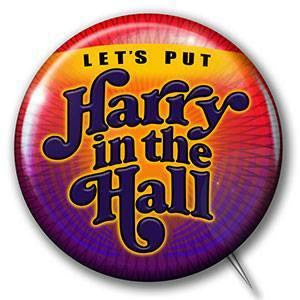 Right this moment the Hall is trying to grapple with its need to stay relevant to younger fans. I fully understand that they can’t simply go on just enshrining baby-boomer era acts and ignoring all that came after, so I don’t begrudge them their recent nominations. But they’ll need to continue to reach back for “influence acts” as they move forward, and I frankly don’t see how they’ll ignore Nilsson for too much longer on that score. Who would be your choice to do the induction speech if Harry gets in? Ringo Starr was Harry’s closest friend, so I think he deserves the honor. You've wholeheartedly thrown your support behind Harry. Just for fun, what artist would be your second choice to get into the Hall? I’m really pulling for the Zombies this year! They were my band when I was a kid. Simply put, I think he is one of the most fascinating unsung figures in rock and roll. People know him as the handsome, incorrigible drummer of the Beach Boys, but when you really start digging into his life and work he was an incredibly complicated man who was very underestimated. He was an incredibly talented musician and songwriter who created a beautiful solo album called Pacific Ocean Blue that critics acknowledge is a masterpiece, it’s on a ton of “best album” lists, yet it remains unknown. I want to change that. I know a lot of people talk about hits and artist popularity when arguing who deserves to be nominated in the Rock Hall, but this is a case where it's more about celebrating a work of art and educating the public on a little known artist. People need to know this stunning, swan song of an album exists. The campaign itself began as a personal love letter of sorts because Pacific Ocean Blue got me through a very difficult time in my life, and honestly some days it was the only thing that gave me strength to get through the day. Dennis and I have a lot in common, so listening to Pacific Ocean Blue was like commiserating with a friend, and there is also this weird sense of him confiding his troubles to the listener as well. It’s such a personal album and there’s so much pain, self-loathing, insecurity, regret and the desperate need to be loved and accepted. It’s everyone’s deepest fears and insecurities that they never voice aloud. It's all delivered in his scratchy, world weary voice and the brutal honesty of it all is so intoxicating. Dennis doesn’t hold anything back, he really lets you into his head, and it struck me how brave it was for him to put himself out there like this considering how painfully unsure he was of himself. You hear his seriousness and what this album meant to him in every single note. This was his everything. I've never heard anything like it or had an album affect me this deeply. To this day when I’m feeling anxious or having a bad day, I self soothe with Pacific Ocean Blue. When I hear his piano intro to “River Song” I instantly feel calm and like everything will be okay. His piano work especially is unexpected, delicate and absolutely enchanting. Daryl Dragon once compared him to Wagner and said that Dennis was "as gentle as a child petting a kitten" when he played. The musical arrangements are so ethereal and so ahead of their time, it's hard to believe the album is almost 40 years old. "I want his story to end with triumph." Pacific Ocean Blue made me go back and revisit Dennis’ work with the Beach Boys just to get a sense of his evolution, and in one sitting I was overwhelmed by just how much he contributed to the band. He wrote or co-wrote over 30 songs for the Beach Boys, gave them the idea for their first song, and was the only original member who was a surfer, yet somehow he doesn't seem to get included in the conversation about them. During their Rock Hall induction he got mentioned exactly once, it’s honestly pretty disappointing because it's yet another instance where he's dismissed. All you have to do is listen to songs like the trippy "Little Bird" or the heartbreaking "My Love Lives On" to hear what Dennis had to offer the world if given the creative freedom. Most of his material with them sounds like something an indie band would put out now. When I play his work for people who profess to hate the Beach Boys, they are gobsmacked and don’t believe me when I say that yes, it’s the Beach Boys. It's important to talk about what he did with them because it really illustrates what he was capable of and it helps you follow the creative path leading to Pacific Ocean Blue. That album exists because Dennis wasn't supported or allowed to fully spread his wings with the Beach Boys, so he took this material and struck out on his own. He was creatively frustrated and tried so hard to be heard until the very end of his life. It shatters me a bit to think about it. I think if you’ve ever felt doubted, misjudged or invisible, his story and music will break your heart a little. I may get heat for saying this but personally I feel his genius and talent is equal to Brian Wilson’s. If he were here I imagine Dennis would be very bashful about me saying that because he was quite humble and adored his older brother, but it’s true! Every time I listen to his work, I shake my head and ask why doesn’t the world know about Dennis Wilson? How is this beloved, talented, larger than life man so invisible? I got really fired up about it, so I decided to see if I could get him the recognition he deserves and bring him out of the shadows. I want people to hear Pacific Ocean Blue, be blown away and have it change their life. I want people see that Dennis was a genius in his own right. On a very personal level I want his story to end with triumph. I want him to have the acceptance and recognition that he wanted so desperately throughout his life. He was the ultimate underdog in many ways. We all want the underdog to win in the end. I am realistic that I picked the darkest of dark horses to champion, but I wouldn't be doing this if I didn't have 100% faith in Dennis. If it's next year, if it takes 20 years, I'm committed until the end. If life were perfect the nomination would come next year, which is the 40th anniversary of the Pacific Ocean Blue release. It's not a question of getting Beach Boys fans on board, people in that community as a whole agree that Dennis was not taken seriously enough, that he was incredibly talented and Pacific Ocean Blue is genius. He's beloved in the Beach Boys fan world. It's convincing people outside of that bubble, and unfortunately I'm up against Dennis' past and a bit of snobbery about anything Beach Boys-related. People think the album is bubblegum fluff about surfing and cars, even though it's about as far away as you can get from that. In my gut I feel like it's going to come down to one person with Rock Hall ties. Someone young, open-minded and passionate about music, someone like a Dave Grohl, seeing this campaign and saying to the nomination committee "hey, this is valid, we need to look at this guy." That's what it's going to take. I admittedly have days when I’m really discouraged at our chances, but then I see artists like Laura Nyro or Bad Brains getting Rock Hall recognition and it gives me hope that even underdogs have their day. To quote the song “Dreamer” from Pacific Ocean Blue, “Killed the man, but you couldn’t kill the dream. Who said it was easy?” Those lyrics are my mantra. 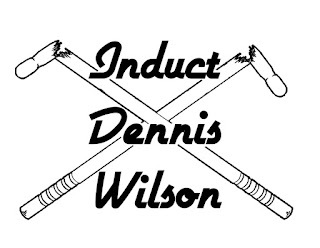 Who would you pick to induct Dennis at the ceremony? Taylor Hawkins from the Foo Fighters, without question. Besides the fact that he’s a drummer and a Dennis/Pacific Ocean Blue fan, he also helped Gregg Jakobson finish a track of Dennis’ called “Holy Man” when they did the long anticipated reissue of Pacific Ocean Blue in 2008. He's the perfect choice. You've wholeheartedly thrown your support behind Dennis. Just for fun, what artist would be your second choice to get into the Hall? God that's hard! Can I cheat and say my choice is not so much a band but a desire to see some more edge in the Rock Hall? I know that’s amusing for me to say considering I’m championing a sensitive, quiet singer/songwriter, but I really do love metal, punk and hard rock too. Artists like Black Flag, Ronnie James Dio, Judas Priest, Motörhead, Mötley Crüe, and Nick Cave & the Bad Seeds are not only deserving but would add some much needed excitement to the ceremonies. The mere thought of a ceremony with Nikki Sixx setting a pentagram on fire, Nick Cave strutting around like Satan’s wingman crooning “Red Right Hand.” or Henry Rollins boring his eyes into the audience and screaming out “Rise Above” delights me. I want a class that blows the roof off the building and has people clutching their pearls by the time the ceremony is over. 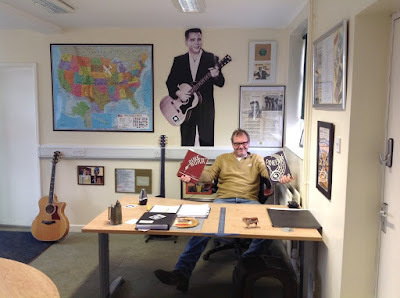 My life is music, my job a scrap metal dealer in the North of England, my muse J.P. Richardson—"Jape" to his friends and family, the Big Bopper to the world. He who lost his life alongside Buddy Holly and Ritchie Valens Feb 3, 1959, known as The Day the Music Died, but as you and I both know, it's when it awoke. J.P.'s voice and indeed his amazing achievements have been muffled far too long, and this is my attempt to show the Rock and Roll Hall of Fame and the world the real J.P. Richardson, a genius in every aspect of the word and the profession he chose to follow. I'm 58 years old, and as long as I can remember, music has played a massive part in my life, whether I'm happy, sad, melancholy or just relaxing with a glass or maybe a bottle of red. Be it rock, blues, country, be it J.P., Buddy, Bowie, or Willie Nelson, I have a crop for all corn so to speak, but it has to be good. And believe me, J.P. was very good. The first time I ever heard J.P. was back in the early '70s, as we in the UK, being a little backward, had groups like Mud, Showwaddywaddy, Alvin Stardust, etc. imitating your stars of the '50s. Initially, I thought [that was] great, until I listened to Buddy Holly and wow my world changed. It was one morning while playing a 8-track compilation of '50s music when I first heard "HELLO BABY"; my hair stood up, my eyes stood out I was like a long necked goose. 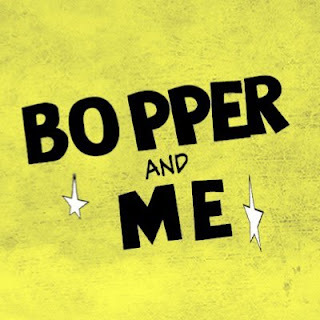 Oh my, he was fun, he was different, he was the Big Bopper. Many, many years later I start writing song lyrics as a pastime, country music being a great passion of mine. I visited Nashville whenever I could, even being invited to join some top country stars at a writers convention, but I never did anything with my lyrics, I just filed them away. Anyway, I wanted a catchy tune to run a singing ad for my scrap metal company and so I started to listen to catchy tunes... and then, yep, "Hello Baby"—let's say the rest is scrap metals advertising history! I changed some of the words and recorded it, and to my surprise, it was a massive hit with the listening public, with people even coming to the scrap yard to see who sang it, and congratulate me. It ran for three months and was the best received advertisement. At the end of its air time, the radio station contacted me, requesting I do another... so I looked for another catchy tune and it didn't take take long. Johnny Preston's version of "Running Bear" was my next choice, again [I changed] some words i.e. "Running Bear young Indian brave" to "Uncle Billy and little Dave." It was at this time I discovered something I wasn't aware of: This massive Number 1 hit of 1959, "Running Bear: was written by no other than J.P. Richardson, and given to his good friend Johnny Preston. I was amazed and intrigued, I had to know more about this amazing if virtually forgotten artist. This is when I discovered he had written George Jones' first number one hit, "White Lightning," the hit song "Beggar to a King" for Hank Snow, and many more, including being involved with The Beverly Hillbillies theme tune. It was at this point I felt I must try and show people who this guy was and what he had achieved before being tragically taken from us and the Music world on that dark winter's night in 1959 aged just 28. When I spoke to his late son Jay Richardson on the phone one summer's afternoon and [found out] he wasn't an inductee in the Rock and Roll Hall of Fame—something Jay himself had pursued— it came as quite a shock. But as he explained, J.P. had always been portrayed as this singing and dancing clown, and only ever appeared as a cameo in the films about Buddy and Ritchie. That made my mind up, if I do nothing else in my life I'm going to make a movie, a documentary of my quest to get J.P. Richardson inducted into the Rock and Roll Hall of Fame. Jay was to feature in the movie, but unfortunately he passed away from complications due to heart surgery. I sent him some song lyrics I had written and I received a wonderful email back saying "my dad would have loved these." Unfortunately the email was from Ashlyn, Jay's daughter; her dad had passed away the day before. So as you see, the torch has been passed to me. "He wasn't only a star, he was a genius of the highest order." 1) Radio - May 1957, whilst a DJ with KTRM Radio he broke the world record for spinning 1,821 discs continually over a five day, 2 hour, and 8 minute period. [He only had] an occasional shower during news breaks, at one stage becoming delirious and having a premonition of his own death in a plane crash. He lost over [14 lbs], and he was given a watch by the radio station to mark his amazing achievement. 2) Video - J.P. was the first artist ever to make a music video ("Little Red Riding Hood"). During an interview with the British music magazine Disc in January 1959, just days before his death, he stated that the future of the music industry would be video, a machine next to your TV where you could play tapes of your favorite stars who would not only have to sound good but also look good. This was some 20 years before the first VCR. Who knows, if he had lived we would maybe watching Bopper Vision, he was an innovating genius of this, there is no doubt. What I like about this article he is talking about the future of the music industry, not trying to promote himself, but the very industry that cost him his life. 3) Artist - As a performer, J.P. as the Big Bopper released "Chantilly Lace," which was a massive hit and one of the most played songs of the decade. By the Rock and Roll Hall of Fame's own admission, one of the most influential rock and roll songs of all time. 4) Artists who have performed his material - Jerry Lee Lewis had a Number 1 in the '70s with "Chantilly Lace"; The Rolling Stones have performed their version of Chantilly Lace live; the Damned, Led Zeppelin, Leon Russell, Waylon Jennings, etc. Even Van Halen's song "Good Enough" from their 1986 album (5150) starts with Sammy Hagar's hollering out "Hello Baby!" Need I say more, apart from there has never been a film made about the life of J.P. Not only would it be a great film, it would be a tribute to a real man of music, be it performing, writing, filming, or as a top DJ. He came through the ranks, and you know, he was just like you and me—all he ever wanted was to go to work, feed his family, and build a career in a business he loved. He agreed to the Winter Dance Party for the money, as he was planing on opening his own studio back home. He wasn't only a star, he was a genius of the highest order. I really feel a bond with J.P. and only wish he had been around so I didn't have to try to prove his worth almost 60 years after his demise. The proof would have been all to obvious, but in my eyes at least his legacy lives on. John Cumberland, the man behind "Bopper and Me"
I feel I have a massive Hill to climb, but at least I'm here to climb it. Once the facts are out there and the documentary film is released, hopefully the full impact of his importance will be realized and appreciated by the Rock and Roll Hall of Fame members. And maybe even a feature film portraying him in all his glory may be made. So the answer is, I'm optimistic but the proof is in the pudding, and J.P. is walking in my dreams. Who would you pick to do the induction speech if the Big Bopper gets in? Steven Van Zandt. He is both a great musician and actor who has helped and continues to [help] little-known musicians. He is knowledgeable enough to appreciate what J.P. achieved. 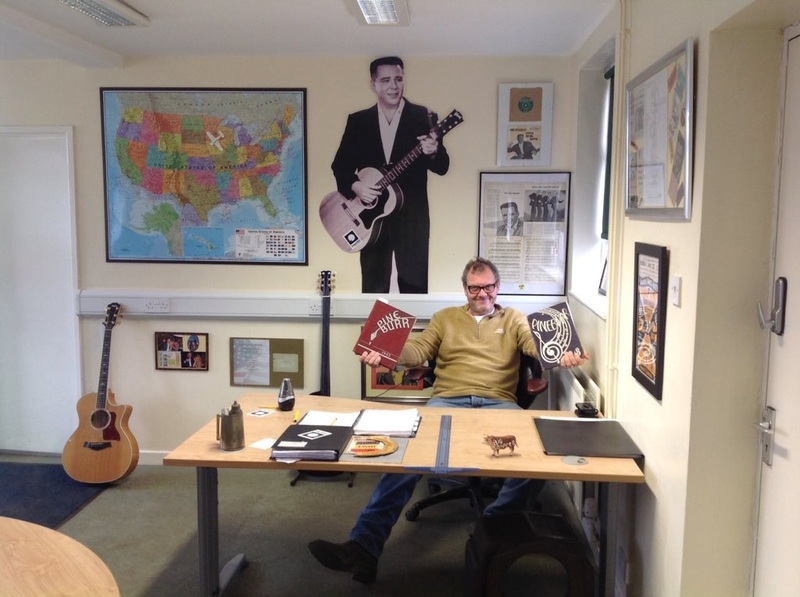 You've wholeheartedly thrown your support behind the Big Bopper. Just for fun, what artist would be your second choice to get into the Hall? For me there is no one else who comes close to J.P. He was unique. But just for fun, as a performer and again innovator it would have to be the Modfather Paul Weller of the Jam, Style Council, and as a solo artist. He has stood the test of time and is a British institution. On an ending note, I would be honored if I ever get to meet J.P. in the afterlife. If nothing else he says, "you can call me Jape." Wow. That would do. Link Wray was the first to use intentional distortion in a rock and roll recording. He was the first to bring the power chord to rock and roll. He was the first Native American rock star. He was the first - and only - artist to have a song banned for fear it would incite violence. This was a remarkable feat for a song with no words! Link lived and breathed the rock and roll lifestyle for over half a century. During that time he never settled for the “oldies circuit.” Link continued to release new music throughout his career. Jimmy Page, Neil Young, Iggy Pop, Bruce Springsteen, Steven Van Zandt, Elvis Costello, Robbie Robertson, Pete Townshend, Jim James of My Morning Jacket, Dan Auerbach of the Black Keys… all these rockers and more cite Link Wray as a career influence. He continues to influence a new generation of guitar slingers to this day, with the tribute record GUITAR REBEL released earlier this month. A more detailed answer to this question - with quotes on Link from the artists mentioned above - can be found here. "He was the first to bring the power chord to rock and roll." What do you feel are the chances for induction? Having released his first sides in 1956, Link was eligible to be inducted to the Rock Hall from day one. Should he have been inducted in 1986? That’s not for me to say, but he certainly could have been a welcome nominee that year alongside Duane Eddy another guitar instrumentalist of the day. After pushing for Link’s induction for several years via letter writing campaigns, petition drives, then social media, etc., I was quite floored when Link was nominated to the Rock Hall in 2014 in the Performer category, over 30 years after first becoming eligible. Needless to say, I was disappointed to see Link was not nominated as a Performer this year, but I haven’t written his chances off yet for induction in 2017. Link was always an outsider, and you can read my theory for Link’s outside shot at induction into the Rock and Roll Hall of Fame Class of 2017 here. Who would be your choice to do the induction speech if Link gets in? Steven Van Zandt. He said some wonderful words when he inducted Link into the Native American Music Hall of Fame in 2006. 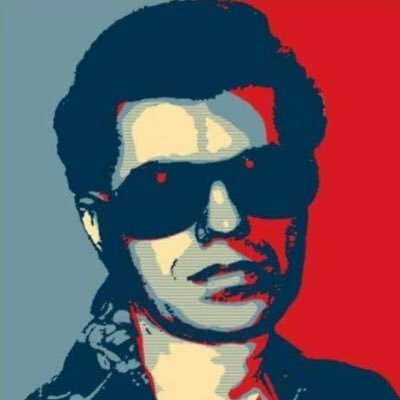 You've wholeheartedly thrown your support behind Link Wray. Just for fun, what artist would be your second choice to get into the Hall? Can I pick more than one? I’d like to see the Hall induct Johnny Burnette and the Rock and Roll Trio, Sister Rosetta Tharpe… those would be my first two, but there are too many to count that are worthy inductees and have been waiting for years—decades—to be recognized. I’d like to see the Rock Hall look back, before they move forward. But in my eyes JP Richardsons place has been so long overdue its heartbreaking even after allmost 60 years here we are still standing on the side lines his contribution to every aspect of the music industry was total and to induct this genius now allthough long overdue would be a honour bestowed on whom I and many believe to be one of the leading catalysts in the wunderfull world of Music and beyond. Push your conversations & engagement intensively to let your campaign reach the right audience & be successful thereafter.